Mod is inspired by and takes aspects from the "Jojo's Bizarre Adventure" franchise created by Hirohiko Araki. Mod is an updated version of the 1.6.4 MC version released by (correction if wrong) "VG" from Korea. Currently the mod is mostly made up of "stands"; extra entities that when activated provide the player with a bonus. Several itemsd are included that when crafted help provide the player with either a friendly companion to help fight monsters, who the means to obtain their own stand power. Quite basic special abilities are included with the mod separated out to the separate stand powers. 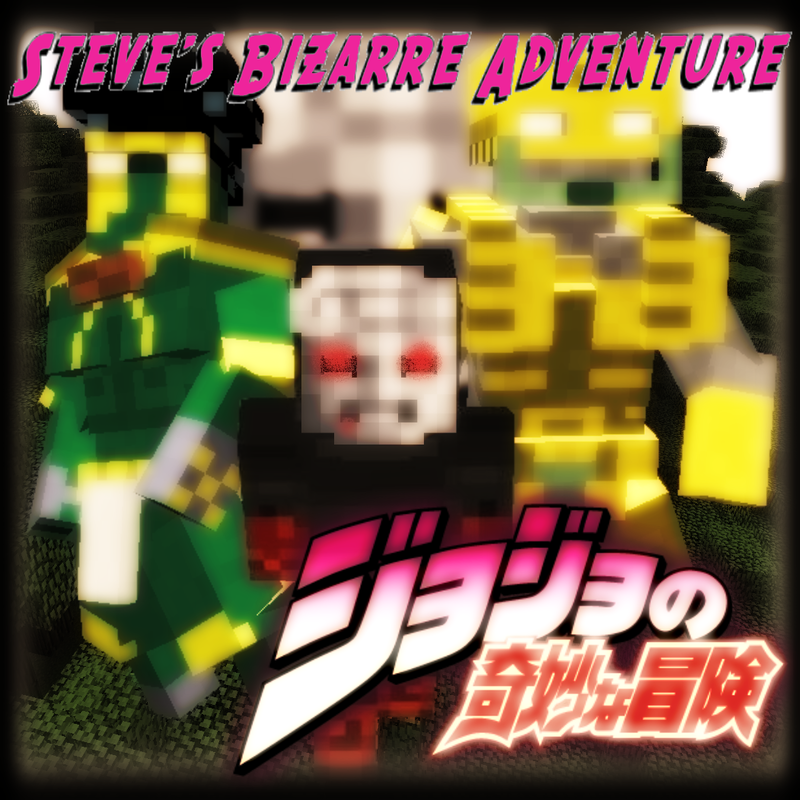 Disclaimer : I do not own Jojo's Bizarre Adventure, I have only updated a mod that is made around that franchise. "V" by default can summon your stand (after obtaining). Punch (ie left click) for basic attacks. Sprint + Punch for different attack / ability. Sneak + Jump for another ability, sometimes will switch to a different mode. i.e. Crazy Diamond Heal / Destroy, or The Hands scrape / barrage attack. - Echoes is just an egg for now. - Hamon unobtainable at the moment. - Configs have options to save the powers on death. - Time Stop is disabled but still causes hunger drain. - "Disc Power" item is used on a gold and iron block. I will be doing. I've mentioned in many places that I'll be working on a few other mods in between updates. Its just those are taking longer than I wanted. Don't fret, I will return to it eventually. Will you add tusk in the future of this mod? killer queen is bug? how i use her abilities? Is there a way to forbid block breaking to stands? Their fists can break blocks in private, which is bad for servers using your mod. Thanks. Did you give permission to Korean? I am aware, and have stated in a previous comment by you that these things will all be getting changed around. instead of vampire blood for stand arrows, maybe a rare ore? in snowy biomes? hamon obtained by giving a stone mask to hamon users? are more stands going to be added? will there be more items? You do obtain Hamon from giving Hamon users the stone mask. Currently Hamon is just disabled because there isn't anything that it does yet. Yes more stands, yes more items. So is there a way I can edit the hunger draw of the powers? Maybe that should be in the config? They just don't seem strong enough for how much food I have to blow through. There is not an option in the released version. A future addition is changing things around though. so is the drain on star ment to be like that or will that be fixed one day? love the mod keep it up glad someone pulled it outta the wood works! Or the Emperor disappearing is intentional and a lot harder to code than you think.